HydroPeptide is geneticist developed skincare focused on improving the health and beauty of your skin. We create clinically proven products that boost collagen, lock in hydration, reduce the appearance of fine lines and wrinkles and illuminate skin with a beautiful glow. Formulated with a cocktail of epigenetic ingredients, including more than 60 peptides, growth factors, hyaluronic acid, antioxidants and botanical stem cells, our award-winning, clean science collections provide customizable treatments for all skin types. HydroPeptide's products are beloved by dermatologists, plastic surgeons and skincare professionals in the most prestigious medical clinics and spas throughout the world. Since 2004, HydroPeptide's skincare products and treatments have revolutionized the use of epigenetic principals combined with an elegant sensorial experience. 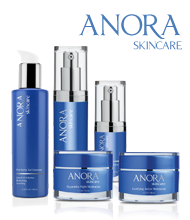 Our products offer instant results without downtime and an unmatched luxurious experience. HydroPeptide was uniquely created to adapt to all skin types and concerns such as hyper-pigmentation, acne and skin sensitivity. The industry-unique Patented Collagen Support Complex in HydroPeptide’s Nimni Cream and Nimni Day Cream was developed by world-renown collagen guru Dr. Marcel Nimni and HydroPeptide’s Dr. Neal Kitchen. The products’ ability to beautifully restore skin’s firmness and bounce have propelled them to cult status from the moment they launched. Bonus: Nimni Technology also works to lift away lines and brightens skin tone.